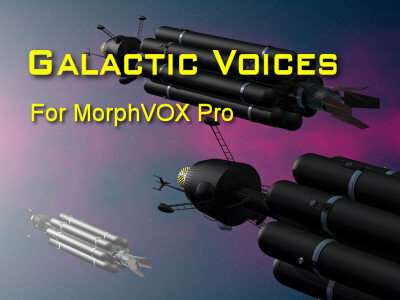 MorphVOXTM Pro will change your voice online and in-game. Take your voice-changing to a new level with superior voice-learning technology, background cancellation, and sound quality. MorphVOX Pro voice changing software can be used with all online games including World of Warcraft, EVE Online, Second Life, Lord of the Rings Online, Everquest, Counter-Strike, Battlefield 2 and many more. MorphVOX Pro is fully functional for a free 7 day trial. ...... Fool your friends: sound like you're in the middle of a traffic jam or shopping at the mall. A unique program for online and offline real-time voice alteration. Change your voice in real time to get the expected voice outputs. Qweas is providing links to MorphVOX Pro - Voice Changer 4.3.16 as a courtesy, and makes no representations regarding MorphVOX Pro - Voice Changer or any other applications or any information related thereto. Any questions, complaints or claims regarding this application MorphVOX Pro - Voice Changer 4.3.16 must be directed to the appropriate software vendor. You may click the publisher link of MorphVOX Pro - Voice Changer on the top of this page to get more details about the vendor.